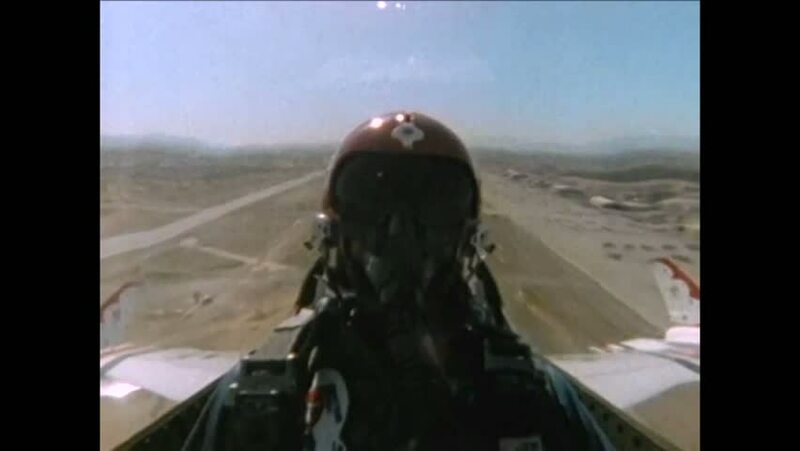 CIRCA 1986 - Views from the cockpit show an F-16 Thunderbird pilot performing maneuvers during a demonstration. hd00:161950s: Revolutionary War reenactors. British soldiers defend trenches. French soldiers charge trenches with weapons drawn. hd00:31CIRCA 1950 - American armed forces battle in Korea. 4k00:11UNITED STATES 1940s: Kids ski through snow / Kids walk up hill sideways in skis. hd00:55CIRCA 1940s - African Americans and others enlist in World War Two. hd01:24CIRCA 1918 - American soldiers stationed in Italy enjoy the comforts of the division's headquarters. hd00:32CIRCA 1943 - A minesweeper is seen near the USS Brooklyn.